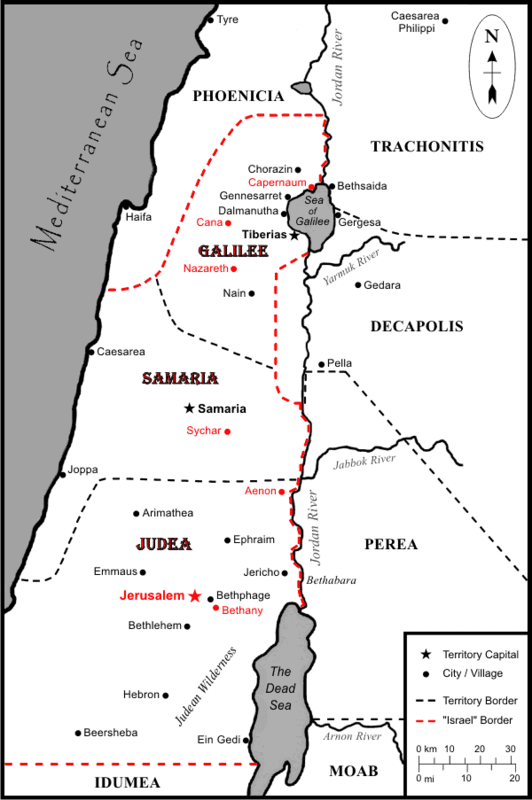 Each Chapter of the PDF and printed editions of FIVE COLUMN, The Synoptic Gospel and The Red Letter Gospel begins with a map of Israel or Jerusalem, as they would have appeared during the Life of Jesus Christ, during the first century CE. 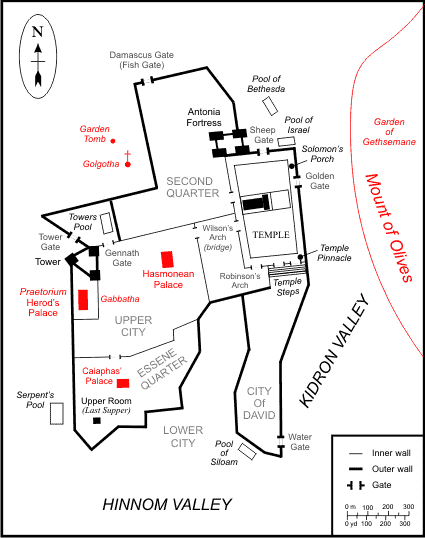 The locations highlighted in red* below are mentioned within the Chapter (* all PDF versions/editions, and the printed Red Letter Gospel). * Black map printed editions show the locations mentioned within each Chapter as a white circle inside of a black dot on the maps of Israel.